An interesting project! I look forward to read the followup post. For our Grids library we had a similar problem to solve, not for versions of hex grids, but for a wide variety of grids (triangular, rectangular, Cairo-pentagon, etc.). We only need one language (C#) and fixed the coordinate system for each grid type. 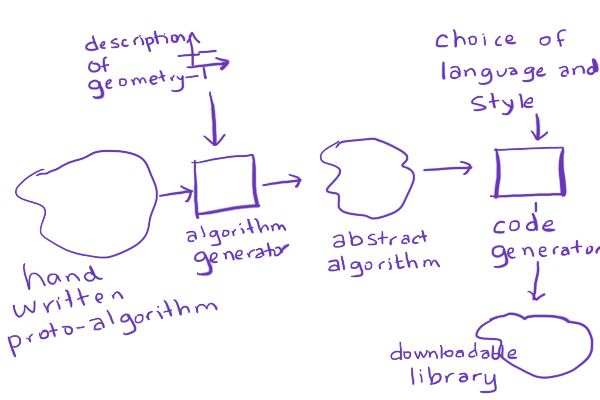 And although many algorithms can be abstracted to work on general grids, it cannot be done completely if you take other factors in mind (performance / memory allocation, and limitations in C#). In the end, a large amount of our code is actually generated using text templates. And this works OK, but things we didn't think about started popping up their heads. One is the definition of distance, which may be different even for a single grid type and coordinate system. And the idea of non-symmetric distance (where going up is more expensive than going down). And neighbors (different definitions are possible for rect grids, for example). Grids and grid code is a fascinating subject! Herman: interesting! 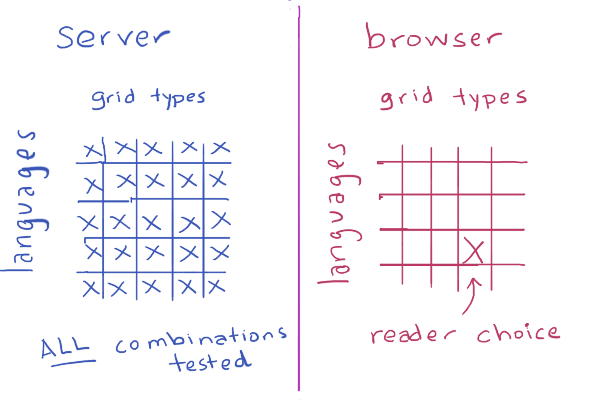 I had wondered how that grids library was implemented because it goes so far beyond any other grid library I had seen. It's really amazing.